Hello again! I’ve just wrapped up the semester and am making my way back to the States for Winter Break. It has been an awesome semester, and here is a taste of what I’ve been up to lately. 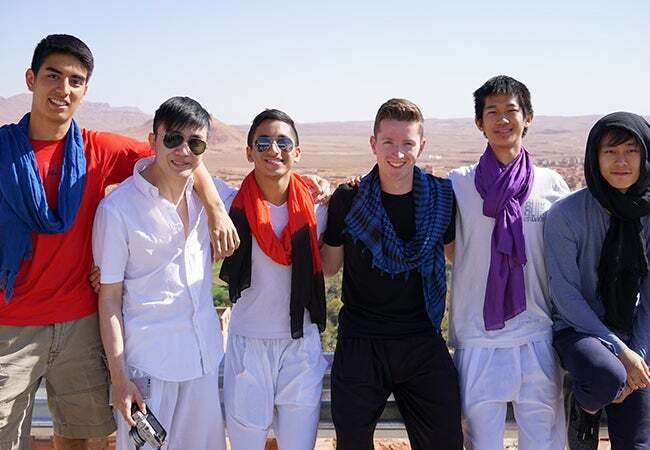 The first week of November was Fall Break, so I traveled around Morocco and the south of Spain with 11 friends. 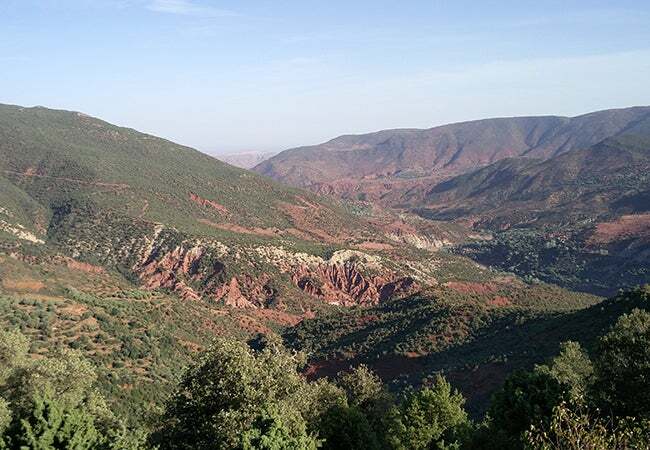 We started out in Marrakech, then headed southeast to Ouarzazate. Nicknamed the “Hollywood of Morocco,” its studios have been used for movies and shows such as Prince of Persia, Game of Thrones and Prison Break. 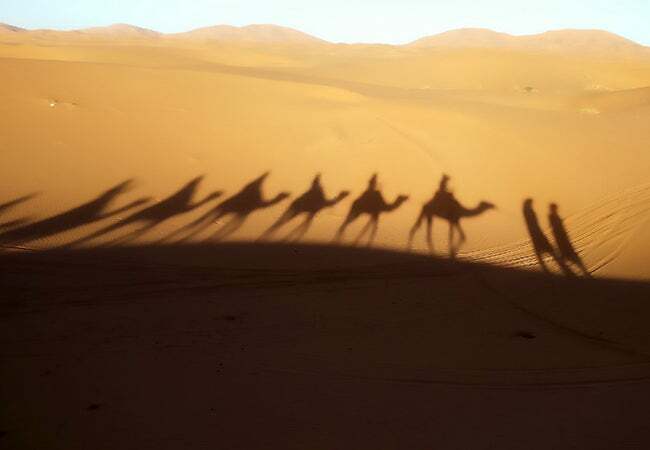 Continuing on, we stopped near the town of Merzouga where we rode camels 90 minutes out into the desert and camped overnight. Hanging out underneath the stars in the desert was incredible, a bit different than the night sky of Manhattan or London. The following day, we made our way north, all the way to Tangier. 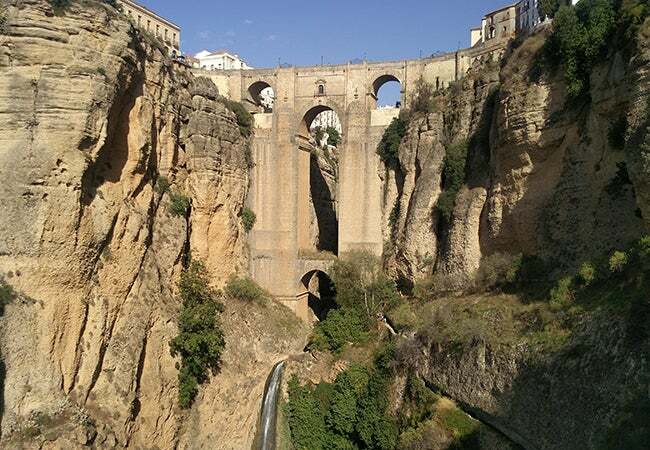 Then, we took a ferry to Spain and spent time in Málaga, Ronda and Granada. One of the interesting things about going from Morocco to Spain is seeing the influence of Moorish rule in Spain for several centuries. The architecture of Morocco was reflected in the architecture in the Spanish cities, especially Granada, which was where the last stand of the conquest took place. 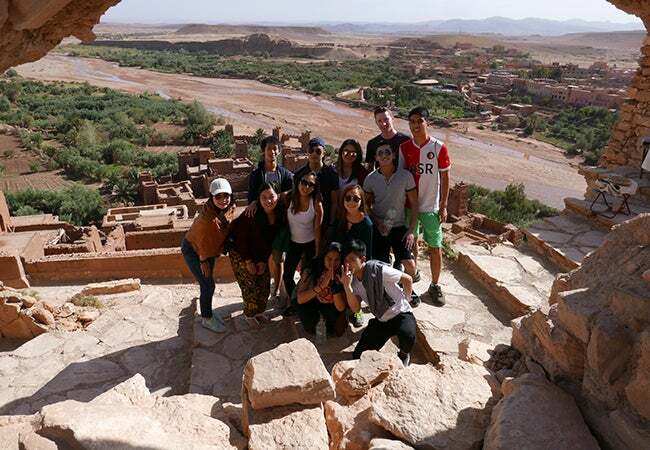 Per my class schedule this semester, I flew to Morocco on a Friday and did not return to London from Spain until the following Tuesday, making the Fall Break week much more than a “week” holiday. The Tuesday I returned from Fall Break was the day of the US election. I went with a couple of friends to an election party at Street Feast, a warehouse with numerous street-style food stands and bars. The place was decked out with TVs playing CNN, USA decorations, election-related games and more. There were more than 500 people at the event. Most attendees were British, but there was a sizeable number of fellow Americans as well. I won’t impart my personal opinions on the election outcome, but I will say that the high-energy party vibes soured as the election went on into the morning hours. Nevertheless, experiencing the presidential election from abroad has been a fascinating experience—especially from Britain where this summer’s Brexit referendum has drawn frequent comparisons. But it’s important to be mindful of the differences between the two events, and it’s been valuable to hear opinions on them from a British perspective through various professors and locals. As I mentioned in a previous post, I am on the E-Board of the London chapter of the Stern Political Economy Exchange (SPEX) club. Considering that the US election coverage dominated the news for a while, we held an event after the election to have a discussion (over pizza), on other significant affairs from the past months in the world of politics that had been largely overshadowed. Throughout the semester, I’ve had the chance to experience London through NYU’s free cultural programming events. I had a great time attending the play The Woman in Black last month. 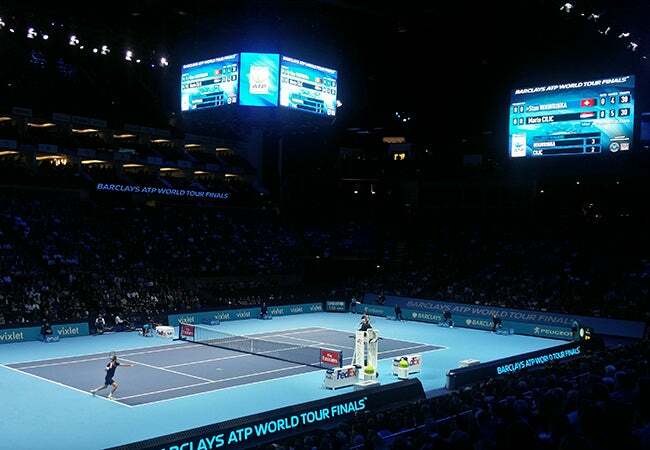 More recently, I had the opportunity to go to the ATP World Tour Finals, the season-ending championship for tennis. We watched Marc & Feliciano López win their doubles match and then saw #4-ranked Stan Wawrinka take down 7th-ranked Marin Cilic. The matches were exciting, and the crowd was lively. Although Thanksgiving obviously isn’t a thing outside the US, I still celebrated it with a group of friends over a potluck meal. The morning after Thanksgiving, I left for Malta, my last trip of the semester. Malta is an archipelago with three islands. 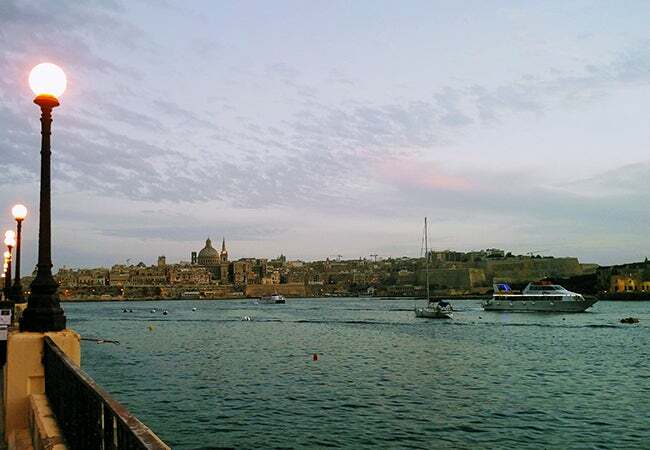 We stayed on the biggest island, Malta, but also took a daytrip to the two smaller islands, Gozo and Comino. 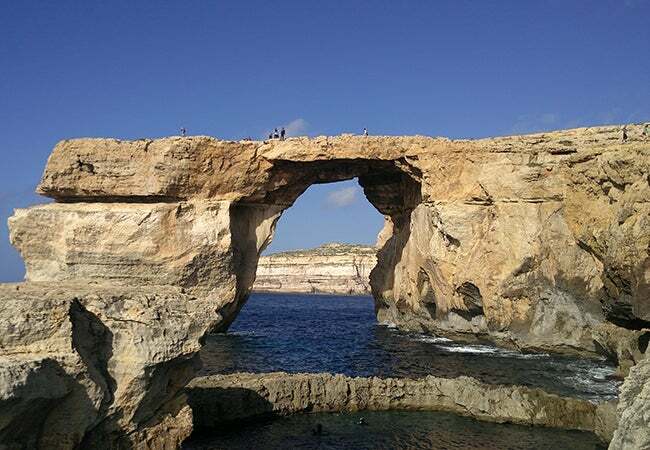 We checked out all the landmarks including the Blue Grotto and Azure Window. Although quite small, Malta was a fun time and a nice escape from the gloomy London weather. Overall, the semester was anything but gloomy. It truly flew by, and I have made some great memories. As I continue in the BPE program, I will be in London again next semester. I’m looking forward to exploring more of London, the UK and the whole of Europe!